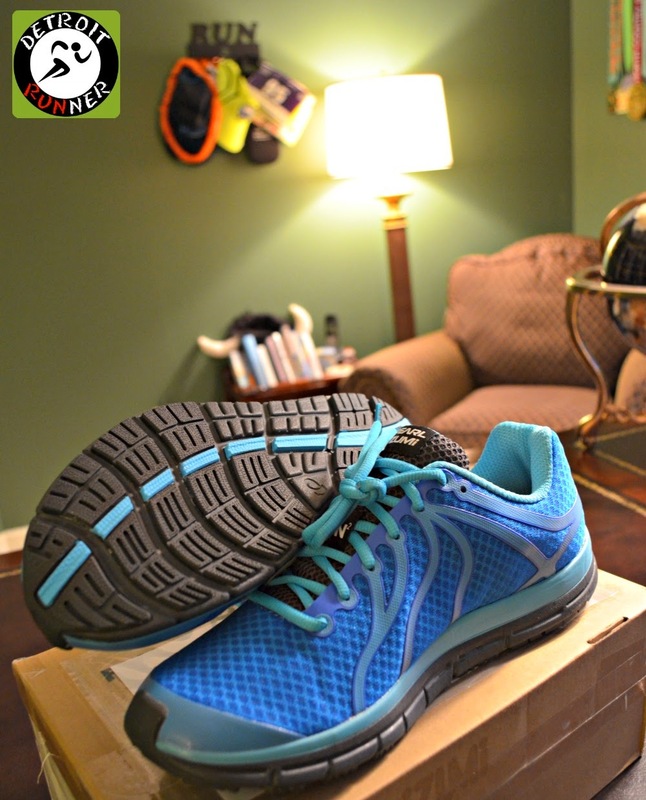 I just got the new Pearl Izumi N2 road shoes in the mail tonight to test out and review thanks to OutsidePR and Pearl Izumi! I'm looking forward to trying these since I had such good success with the Pearl Izumi N2 trail shoes(I bought several pairs). Look for a review in a few weeks once I've had a chance to put them through the test. They will hit stores November 15th. Overall another great Kona run. I ran the double in their St. Patrick's Day run and it was cold! Lol. The weather was perfect for running for this race and I didn't feel it was as hard as it felt in March. Probably because I ran this one much slower. 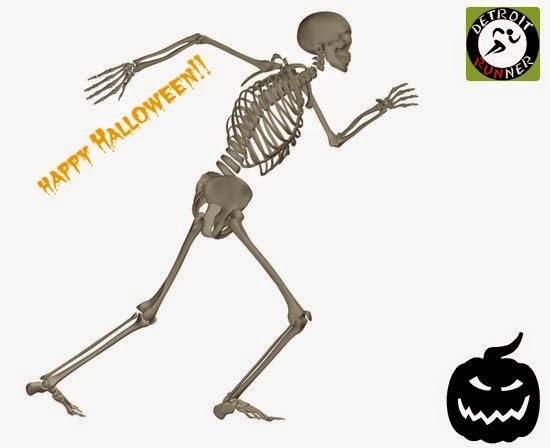 If you are looking for a Halloween run, this is a good one. Registration is very easy. Kona has Hughesware for race registration and it's very easy to use. You register directly through their race website which is also very informative. Because I'm an ambassador for their race, I mail my entry into the company. I've never had an issue with mailing so feel free to do that if you want. Normally for races I sign up online though so that I know I'm registered right then. There was two options for packet pickup. The first is to pickup your packet the day before or you could pick up race morning. Since my daughter and I were volunteering for packet pickup, we headed over for the afternoon shift working from 1-4pm on Saturday. We also helped with medal set up after that for another hour and we had fun doing it. Packet pickup is at Central Middle school next to downtown Plymouth. It's a great venue for packet pickup since its inside and the race has a small expo too. I was able to pickup a BOGO coupon from Noodles. There were numerous other vendors there selling their product or service too. The race was also selling merchandise from their previous races if you were looking to pick up another tech shirt at a good price. After you passed the expo, there was an information booth with all the information you needed for the race. Essentially it had everything there that you could also find on their website. As is typical Kona fashion, there was a wall of names with bib numbers. The race also sent an email where you could have the number ready when you came in. My daughter and I checked in and got set up at the packet pickup area. You could also register at the expo since the race had spots left. We were basically giving out reusable shopping Kona bags, a Kona sticker, bib and a tech shirt. Due to a shipping issue with the manufacturer(an airport strike in Paris specifically), most of the medium and large shirts did not get delivered timely to the race. Because of this, we had the runners give their bib number to another volunteer so they could be mailed directly to the runners. That's what I call customer service! 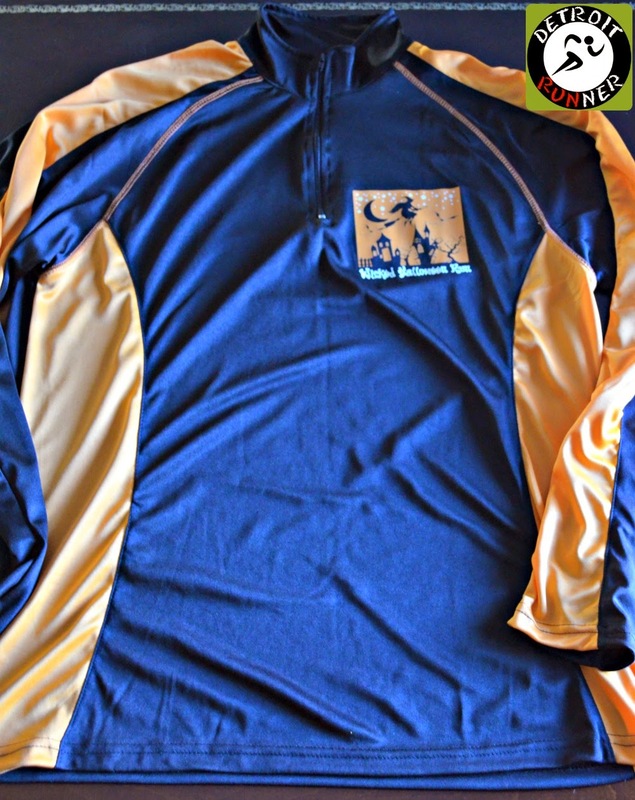 Sure, it is disappointing to not have your shirt for race day, as many runners expressed their disappointment(although I never have worn mine race day in over 80 races) but the way the race handled things is very good. Mailing them to runners is the best option and most runners understood and didn't have any issue with it. The race had about 4,000 overall runners and many were in the 10k who received medals so we helped unpackage medals too after the expo closed. I think most runners don't even understand the amount of prep work that goes into these races. It's a ton of work! Regardless, we had a fun afternoon helping the race. The next day I headed back to run the double. I ended up getting there around 6:40am and was able to park really close to the finish area. 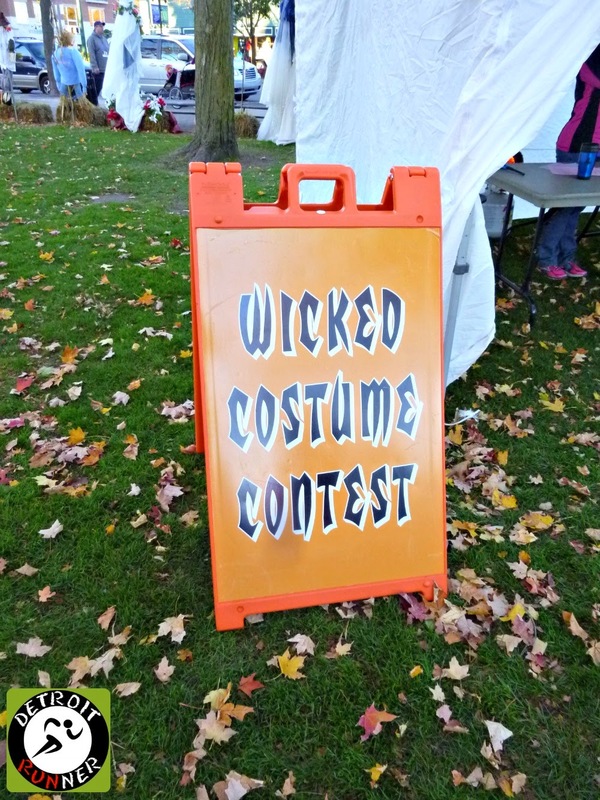 I was running the 10k and the 5k races - the Wicked Double! The race had a steel band playing who was really good and made for a fun atmosphere. Most of the start area pictures were taken between races because it was too dark when I got there. Of course, the race had a first aid station as well as a warming tent. Because we had excellent weather, the tent was not really needed this year but there has been years it was mandatory. Each year they also have a costume contest although I'm boring and never dress up for it. 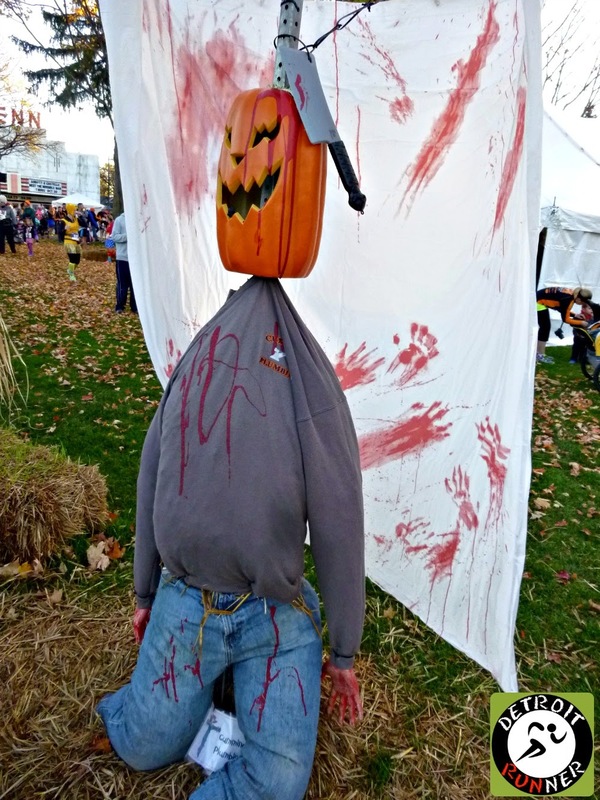 Downtown Plymouth also had scarecrows decorated for Halloween as you can see below. I took a picture of a couple really good ones. It's always fun to see them all and fun for the kids as well. Team RWB also had their tent set up near the finish line as well. A great organization benefitting veterans. 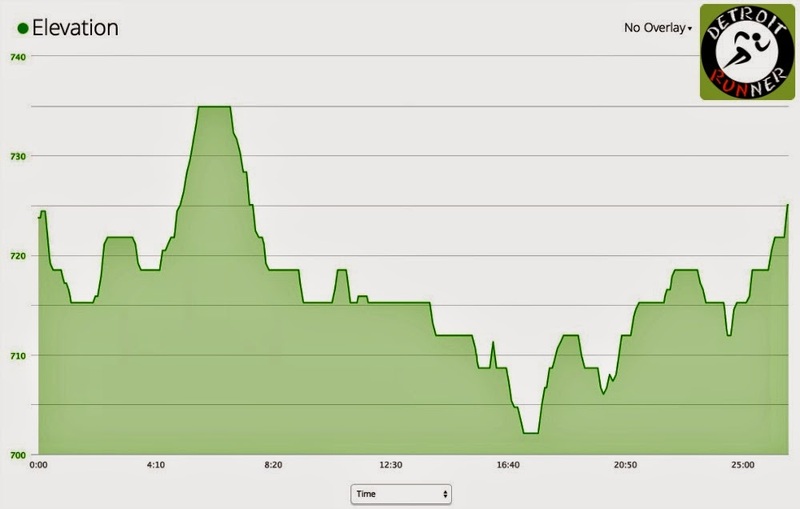 The race had three waves for the 10k and 5k and the double runners needed to be in the first wave which started at an early 7:30am! One good thing is that I would run the double and still be home by 11am which is nice. As you can see, it's dark when we start but not so dark you cannot see when running. You don't need a headlamp to run the first part of the 10k even in the first wave. The race did the National Anthem and Alan, the race director, made a few announcements and we were ready to run. The race started right on time. The other two waves were five minutes apart each. Because I'm still recovering from longer races, I didn't really have any goals except to have fun and finish faster than I've been running on the trails. I also had a goal to run faster for the 5k than the 10k which I ended up doing. 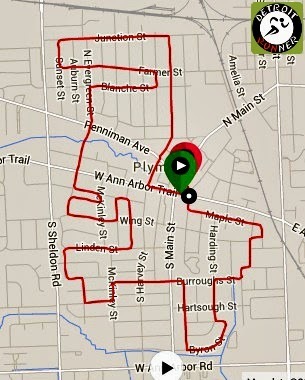 I've run the course many, many times and probably could run it without any course markings. Haha. The elevation looks worse than it is. This is a really flat course and a great place to attempt a PR. 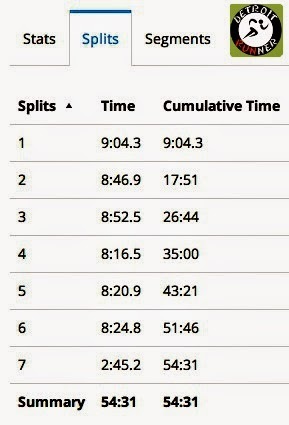 I had a nice negative split for the 10k and happily ran the 5k even faster than the 10k. Note: When I take pictures during the race, I typically don't change my pace or stop in the interest of safety. If I do stop, I always move to the side. I just keep running and get what I can get from the pictures. Some come out better than others but they give you a great idea of what the course is like. As I said, this started out in the dark and you can see how the flash showed off all the reflective gear runners were wearing. It was a little slower start as the crowd needed to thin out a little bit first. I did a little weaving around but overall I was in a decent spot from the start. I saw the guys from RWB running with the American Flag. Very cool! 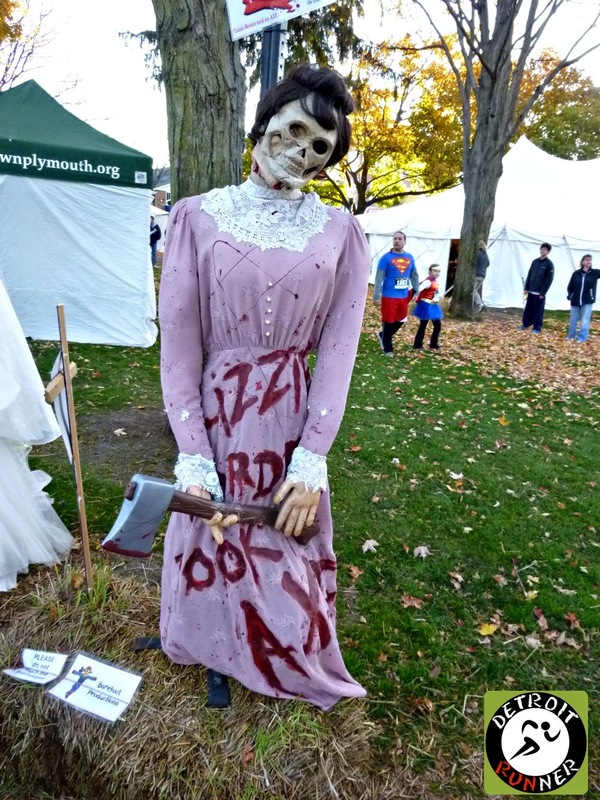 You will see throughout the blog that the race had numerous scare stations to cheer on runners. It adds an extra element to the race that makes this extra fun. Before I knew it, I was at mile one already. I decided to stop and get pictures at the mile markers because I was having a hard time getting pictures to come out good given the darkness. There were lots of runners dressed up to run as you can see this skeleton below. One thing unusual for a 10k is having a port-o-potty half way through the race. I'm sure there are plenty of people happy with that but I've never stopped for a 10k. I'm sure especially walkers are happy with this. You can see some of the high school kids got dressed up for the scare stations. It looked like they were having loads of fun. A little after mile five, the sun started to come up. Who doesn't love racing while the sun is coming up. It was a beautiful Fall morning. The trees on course were really nice and colorful too. With that, I was done with the 10k and could relax a little bit until the 5k started. I had about 40 minutes before the next race so I had time to stretch and look around at all the costumes. They had some really cool ones. Check out the lego ones below. I can't imagine running in that but, hey, more power to them! The 5k started at promptly 9am and it was now nice and sunny and getting warmer out. It was picture perfect. They had a few dance numbers the local dance studio did first before we got started. They also had a drone at the start too which was really cool. I can't wait to see how the video turned out on that. It was a little bit more crowded for the 5k but still not bad at all. The crowd started to thin out very quickly as many runners tend to run too fast and then have to slow down later on. I was able to get a few more pictures of the scare stations that were on the course as the sun really helps with getting better pictures while running. The shirt is a really nice quarter zip and lots of people had them on. I even saw a guy in a banana suit and, sadly, I must admit, that I could not keep up with him. Haha! This guy must have been going about an 8 pace and I just didn't have it in me today. The trees really shined with color from the sun hitting them. The runners were equally colorful in their running outfits. 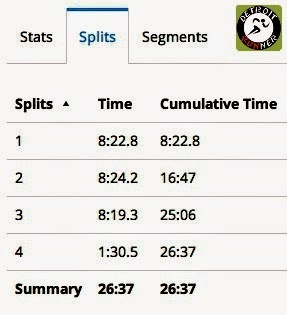 I had a pretty good 5k race and kept my splits very even. The race seemed to fly by and we were already at mile 2! This really is a very different race in the Fall with the trees than it is for St. Patrick's Day. We were almost there and I went to grab a picture at mile 3. I got a girl who's leg was hurting but I'm glad that I didn't get her face in the picture. I think she was alright but just a little sore. Success with another double run. This was my second double run this year with my first being at the Kona St. Patrick's Day run. As has been the case for Kona races, the aid stations were well stocked with water and they have bene trying Nuun for electrolytes. For those of you not familiar with Nuun, you should try it as it's a very light flavor and not all sugary. It's something I've used in training many times. The volunteers were awesome and always cheering for the runners. Take the aid stations in addition to the scare stations and you had people cheering for you much of the race. The finish is right back at downtown Plymouth. I saw Larry with the race team helping direct runners through the race shoot to get their medals. The race had the medals for the "double" runners separated out and Larry was telling doublers to go further down the shoot. The other 10k runners got their medals as well. This worked out extremely well and the kid volunteering were well prepared to give us two medals right away. This was also nice because we didn't need to run with our 10k medal seeing we were running the 5k too. New this year, the race had more fencing after the finish line. This worked extremely well and made things very organized. There was also a volunteer keeping people moving so it didn't get clogged up. Keep in mind that I went through this twice and both times it was very easy. Also new this year was two tents for food. This also worked out extremely well. While I didn't go into the tent after my 10k, you could have easily walked right up with no line at all. In addition, there was only a very small line when I came back through after the 5k as well. The second tent was a great improvement and I would expect this is also going to help at the Kona Chocolate run in November as well so lines don't back up. Kona has some great post race food. They had Panera Bread bagels as well as their cookies. I love these cookies and this is a new thing for them this year!!! I also like the bagels too and the fact that everything is individually wrapped. It makes it much better than most races where it's all out in the open. Very sanitary and Kona is one of the few races that I've seen it done this way. One of the other things that I like to see at races is the race director. I was there both Saturday and Sunday and saw Alan numerous times working hard to make sure that everyone was happy or if anyone needed anything. He helps keep things running smooth with his staff and it's a sign of a good race when you see the race director in the thick of things. 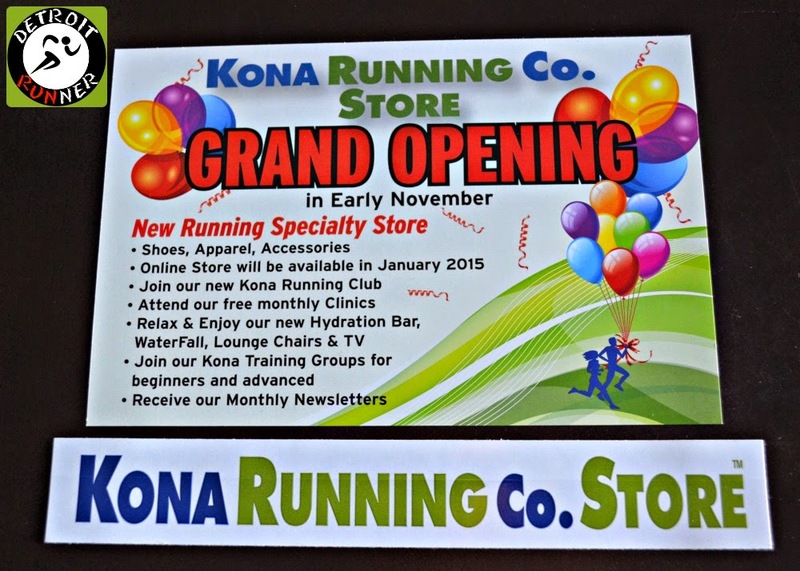 For your registration fee(which I received a complimentary entry for this review), you received a Kona Running Store sticker. Yes, they are opening in early November. You also receive a race bib based on the race you signed up for. In my case, I signed up for the Wicked Double as shown below. You also received a QR code on your bib if you wanted to check your results - a great feature which I think should be on all race bibs for all races. You could also sign up for free for Xact which would give you a text, Facebook or Twitter alert for how you finished. When I signed up for the Xact, I only received results for the 10k race and not the 5k race. This also happened to me for the Kona St. Patrick's Day race as well. Results are up typically by the time I get home and look online so you always get them quickly. You received a tech quarter zip running jacket. 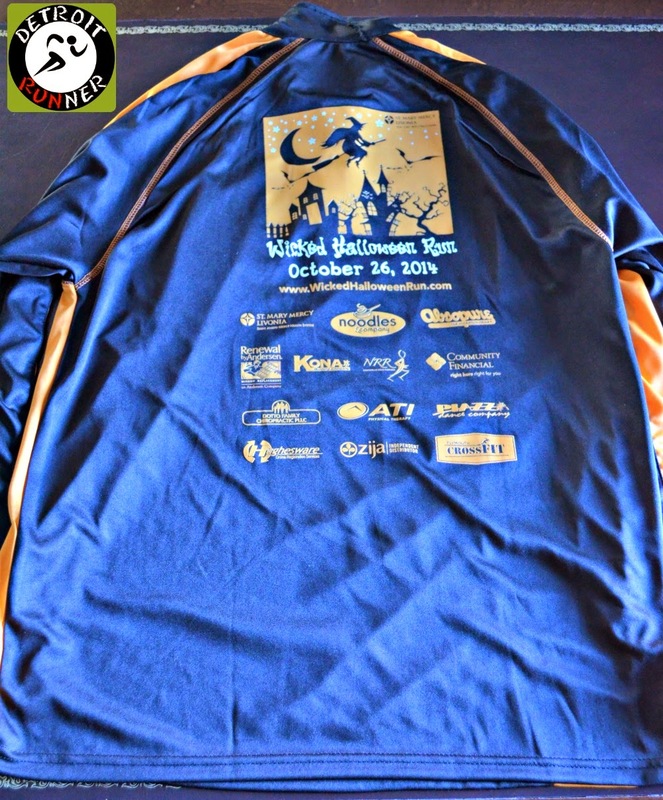 This is one of the nicest shirts that I've gotten for a race. Unfortunately, it's not something you would wear all year with the Halloween theme but it's a nice shirt to use yearly. It's also a very nice quality shirt. 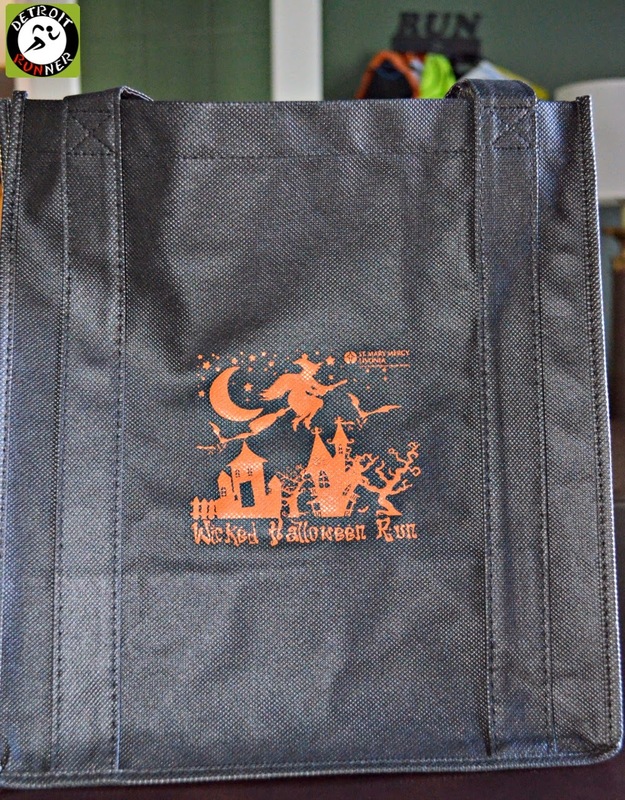 The race also gave out reusable grocery bags for everyone. 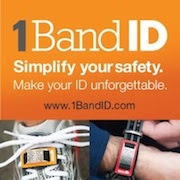 These are really nice and have many great uses. Then, of course, there's the bling. The bling is Kona's specialty. 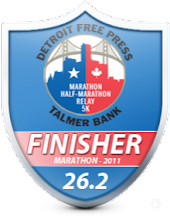 You got a really nice finisher medal for completing the 10k. It comes with a custom medal and a custom ribbon with a nice design. Those that ran the double also received an extra medal for doing two races. I like this medal even better with the purple color but I'd really like to see the race come up with something completely different. They are still basically the same medal with the lettering in different spots with different colors. There is so much more potential especially for a Halloween themed race. Medal for Double 10k and 5k! The organization for the race was good. The race expo was well organized. The start had plenty of room for runners. The race course was well marked and had plenty of course marshals out to direct runners. There were even some unmanned streets with cones just to alert traffic. The finish line was extremely well organized and is much better than even past Kona races that I've been too. The finish line food tents were organized and volunteers were helping out everywhere. 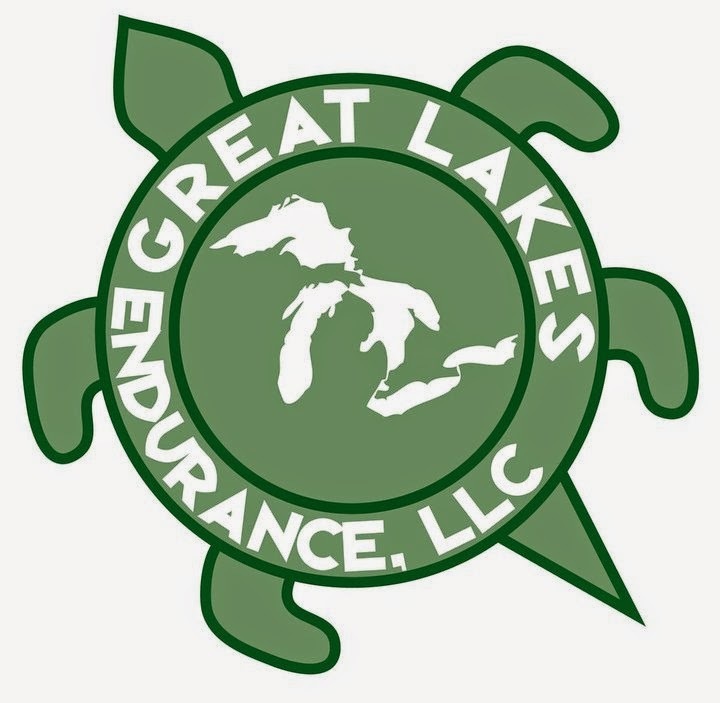 The only exception is the shirts not being at the race timely, however, I talked directly with the race director, Alan Whitehead, about it and shirts were ordered over 12 weeks ago which is plenty of time to get them out to the race. It appears the manufacturer sent the orders timely, however, having a strike in Paris at the airlines(according to the manufacturer) didn't help things and caused them to now show timely. How the race responded by having all shirt mailed is really what I want to point out. This was the best possible way to handle this issue and I expect that shirts(including mine) will get out to the runners shortly. 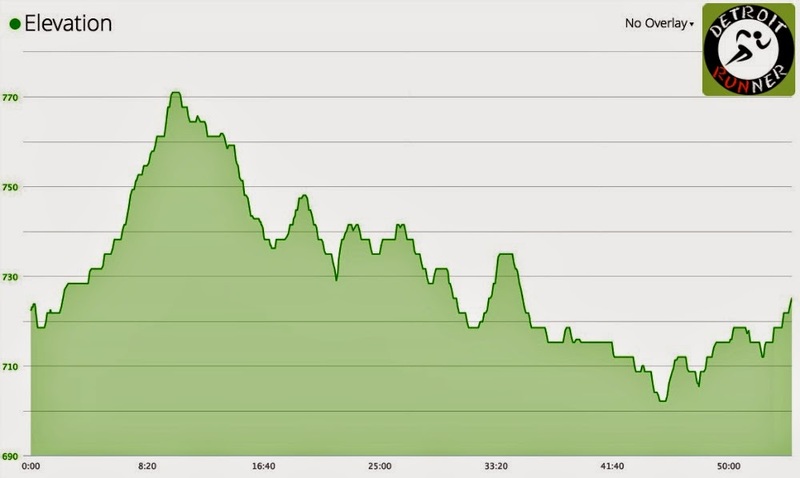 I'm happy that the race didn't make runners come back to pick them up. Overall, another excellent race for Kona Running Company. 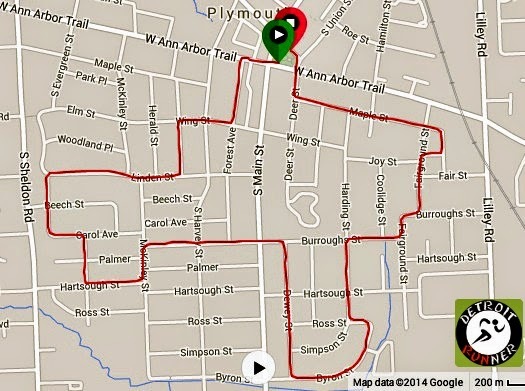 I love the City of Plymouth as it's such a nice area to run. Kona has done an excellent job over the years to keep it's runners happy and is always trying to improve their races. Alan Whitehead does a great job listening to what the runners have to say whether it's good or bad and thinks of ways to improve. He is always asking for criticism on his races. To me it's a sign of a good race director and I always have a smile at the end of my Kona races. Disclosure: I received a complimentary entry into the race in exchange for this review. All opinions are my own and I was not required to give a particular opinion other than an honest one.